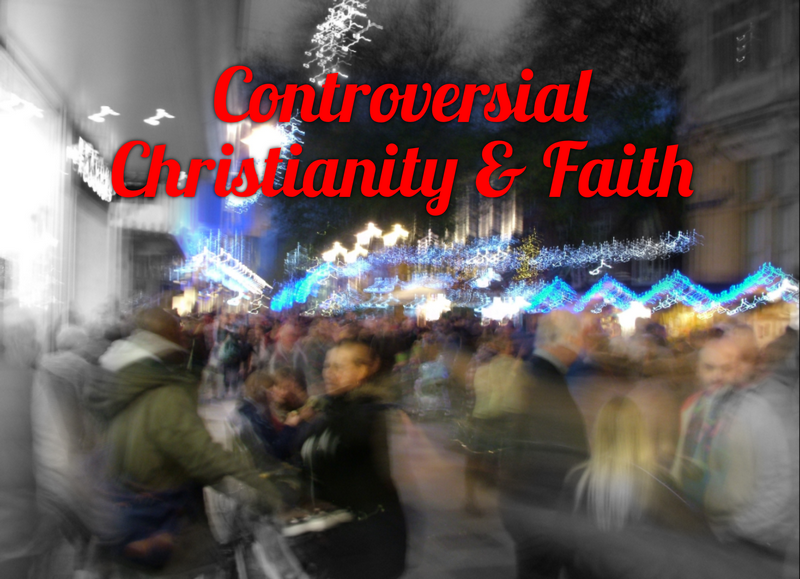 Controversial Christianity & Faith: Christian, Looking For Love?! If you have ever used dating columns in newspapers or online dating of some kind, which I have, you may know of the excitement at the idea you might meet someone without a great deal of effort and that a friendship might lead to something more, and then the disappointment when things don’t turn out right for some reason, whatever that reason might be. Been there, seen the film, wore the t-shirt and writing the blog sob story on it now, too! The strange thing is, although there is humour in many of the experiences most of us have had on the dating scene, finding love, finding a soulmate, is actually a very serious business indeed. And, when it doesn’t go as planned, it seems to cause a lot of frustration, a lot of soul searching, a lot of sadness and even pain. To fail in this area is very painful, and I think many men and women who have been unlucky in love a number of times start to feel they will never meet anyone, either because they have had a number of bad relationships or even because they have tried to have a number of bad relationships, and failed! Speaking purely from a Christian sense now, the world of love, dating and romance can be as secular and empty of God’s purpose as anything else can be without asking God into it. God is the Lord of your love life as well as your life, is what I’m saying, or should be! Before really living as a Christian since I was about thirty, I sought casual relationships when going out drinking with my mates, even though deep down after having analysed this I was really looking for a true romantic emotional connection and not brief encounters, which most of them were. As my pastor would say, and he is a good bloke, I had my priorities all wrong. The ulterior motives of most people on a night out involving alcohol, men and women both, tends to be more earthly than spiritual certainly when people are drinking and usually won’t end well, even when at the back of people’s minds there is a desire to make a real connection, rather than a casual and meaningless encounter of some kind. There seem to be so many Christians, and I have met a number them, and have been one myself, who think that Christian faith and exercising that faith is basically just going to church, being morally minded, being a respectable person and not a great deal more. You tell people even in churches to pray before making big decisions and they sometimes look at you a little strangely, or you just tell them to ask God into important decisions, and it has as if you have asked something strange. In many cases, and I can be accused of this only too well, God seems to be the last consideration and last priority, when He should be our first priority. The idea that Jesus is the bridegroom and the church, basically the worldwide group of people who call Jesus Christ their Lord, is the bride is a biblical one. I haven’t really given that analogy a great deal of thought before, but in the light of romance, love and relationships, it begins to make a sense. Christianity is far less religion, and far far more about relationship, relationship with God, relationship with other Christians and a relationship with a disbelieving world, too. God’s love is pro-active, warm, compassionate, nurturing, redeeming, forgiving, conciliatory, and ultimately His first real priority in our lives, perhaps after straitening us out, is to have a personal and intimate relationship, a close friendship, with all true Christians on a daily and ongoing basis. That’s a lifelong, and beyond, relationship that has little to do with formal and traditional Christianity. It’s what God wants for us, to walk with Him and consider Him, as we say in Liverpool, our ‘best mate’, our best friend, confidant, guide, healer and much much more. A marriage is meant to be for life and never to be taken lightly, on either party, and God never takes a relationship He initiates with us lightly, either, even when many Christians do. I know I did. This tells me that God will love us passionately even when we don’t want to know, quite frankly, even if God has to bring us back to Him through discipline, chastisement or even some kind of suffering, that may stop us in our tracks until we start calling on God again. We don’t choose Him, He chooses us! I may add, having a calling on your life from God is not necessarily to be a vicar or reverend or priest, nor do you need to have a theology degree or anything like that, it is to live as a Christian, obey God and make Him the first priority in your life. Every human being was created by God, therefore we are all His children ultimately. In the end, there are either Christians, and people who have a potential to be Christians. I’m not going to get into arguments about Calvinism, Universalism, Antinomianism, Arminianism and many other views of Christianity, because I can’t be bothered! More seriously, I’ve heard articulate arguments for and against a number of theological arguments, and they are not particularly too deep or difficult to grasp, but I don’t know what to believe. Some people say God calls some to serve Him, but not all, and other arguments say that everyone gets called, but not everyone answers, and there are similar arguments along those lines. I personally just don’t know, I let God sort it all out. As God loves us, so we are to love others. So the analogy of bridegroom and bride is more than just symbolism, it talks about a serious relationship based on a deepening and growing mutual love, a partnership that is to be taken absolutely seriously on both sides, a ‘marriage covenant’ if you like that we as Christians make with Jesus, one that is based on love, relationship and partnership. That’s absolutely nothing like cold, sterile religion, and far from the Christianity many outside the faith, and even some Christians think is Christianity either, is it? God wants to be loved for who He is. Don’t we all?! Many men have seen that in order to find a woman and get her to fall in love with him and get married and all the rest of it, he must win her heart. So far, so good. But love, romance, and marriage seems to be cluttered and muddied with so many other things that have little if anything to do with love, particularly when a man, and it is more likely to refer to men in this case, has to be wealthy, or have a good job, nice house and a flashy car to be attractive to some women, but obviously not all. It is being wanted, maybe even loved, for what someone has rather than who they are. Any relationship based on such a contract will fail eventually, or will be dysfunctional to some degree. In the same way, I think many attractive women want to be loved for who they are and not just for their beauty. We are all really searching for something deeper than skin deep attraction or a romance based on something peripheral or ultimately ephemeral. We want to be loved for who we are, like our families love us, or should. God loves us unconditionally, and our love in all cases should try to be the same. I don’t think it is possible for any human to love in such a way, but when we understand that love is meant to be selfless, focussed away from ourselves and on others, and that our love should be for God and for human beings and not for material things or experiences or sensory pleasures. Not easy in a world filled with all kinds of attractions and distraction. But I know that when I start to rest in God’s peace, and make time for Him, and even sit in silence with the television off for some part of the evening and just meditate on God and His mercy and compassion and His many promises for my life, particularly the peace that passes understanding, I begin to see that the peace that the world cannot give, but only God can, is one of the most precious gifts God can give us, apart from the material blessings He can and will give us. You can enjoy what little you might have when you have inner peace, but without that peace all the best things money can buy will not bring anything that comes anywhere near close. Peace is its own reward, and, sometimes, it’s just nice to be loved for who we are. Well, I guess we all are, but not to digress, when we are looking for the perfect person, the soulmate who will compliment us in every way, we tend to focus solely on them, and we all have a tendency to want perfection in someone else, and then get angry or disappointed or feel let down in some way when Miss, or Mr, Perfect doesn’t quite live up to our expectations. We all seem to forget, usually without really thinking about it, that it takes two to tango, it really does take two to dance perfectly in step, and in this case focussing too much on every person you think might be the ‘One’ is the first mistake we make in finding love. In the desperate search for our ‘soulmate’, by looking earnestly but in a rather distracted fashion wherever we go for him/her/other, we are looking too much at other people, we are losing some of our peace and we are not really thinking about what we can offer someone else. In this case, I believe that we need to focus on ourselves, what we offer someone else, and perhaps obviously what we are looking for in a relationship. This means asking God into it, and praying about it. You may also consider the fact that as you are looking for a soulmate, so are many other people. And I suspect that many of them are putting the onus on the other person to be perfect, and not reflecting on themselves. Quite simply, and to cut a long story short, if you are looking for your soulmate, you need to be the soulmate someone else is looking for. This means that learning to be patient while you wait, learning to relax and enjoy your singleness even, and being the person you really want to be is vital. I don’t know about you, but I have spent large chunks of my life pretending to be someone else, or living up to someone else’s expectations of me (when they probably couldn’t give a toss anyway) when now I want to be the person God wants me to be, and really find out who I am. I just want to be loved for who I am. Don’t we all? I also don't bother with the calvanism, universalisn etc etc. Over on facebook I have seen people really debate endlessly on that stuff, all of it really is unecessary and the word of God told us to avoid those idle babblings and things falsely called knowledge. I've noticed most of the persons caught up in that stuff are prideful and are obsessed with disputing over words. It's actually one of the things that annoy me, those stupid debates on such things.